Yes, it is the start of going back to school. No more pool games, summer camps, beach days. Instead, those are replaced with swim practice, music lessons, friends, and, of course, packing lunches for school. To give you some tips for packing healthy lunches this year, I’m posting a few different posts, each for going “Back to Lunches” as I’m calling it. 🙂 So, without further ado, here are some reviews of great school lunch supplies! This is one of my absolute favorite containers! I have both the original and panino versions, and they both work great. First of all, they are leakproof, which is great for lunches with yogurt, hummus, juicy watermelon, or applesauce. Second, they fit in most normal sized school lunch bags. and lastly, they are the perfect size for a healthy lunch. The original yumbox (6 compartments) even has labels in each compartment for the food groups, which is great for younger kids, while the yumbox panino has more space for older kids and adults. 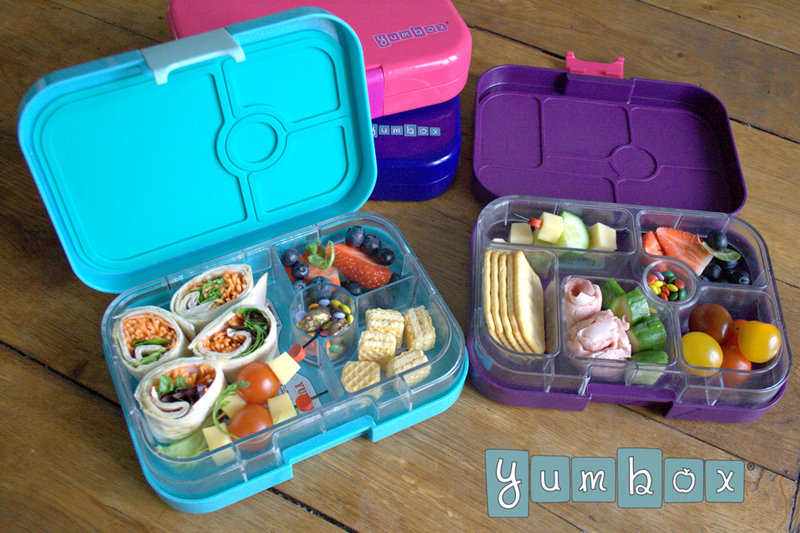 You can find this lunch box on Amazon or at yumboxlunch.com. The Planetbox is another great container. It comes in three styles, and though I do not own all 3, I can review the one I have, which is the Rover. It is stainless steel, making it great to put in the dishwasher and better for the environment. However, I find my Planetbox to be a bit big, it is not leakproof, and it is also the most expensive as you have to buy a special carry case to fit the container. I cannot speak to the other containers offered, the Shuttle and Launch boxes, but I think that I would probably like the shuttle lunch box because of its smaller size. 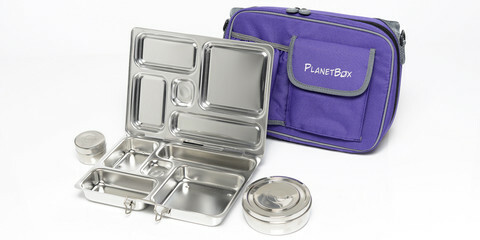 Overall, though, the Planetbox is durable and good someone who needs bigger portions. 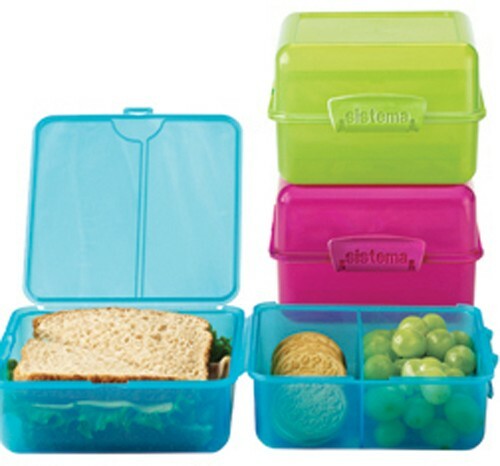 These lunch boxes are easy to find, but they are plastic and tend to not last as long as the others. You can easily find them at stores like Walmart, Target, or even Old Navy, but they will not last quite as long. However, if you are looking for a container that is inexpensive and easy to find, this is a great container! This lunchbox is true to its name, as it is certainly easy! Though they will not last for a long time, it is great for an easy pack and go lunchbox, and you can find it quickly on Amazon. It is similar to the Ziploc containers that I like (which have sadly been discontinued) as it is plastic and very inexpensive, coming in packs of four. It also fits in most normal-sized lunchboxes. 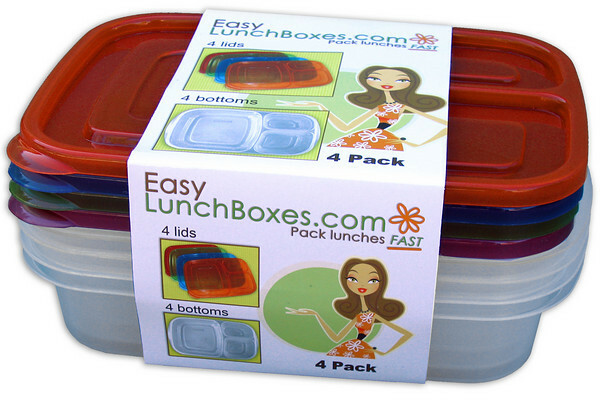 Personally, I do not own this lunch container, but I wanted to include them because they have great reviews. 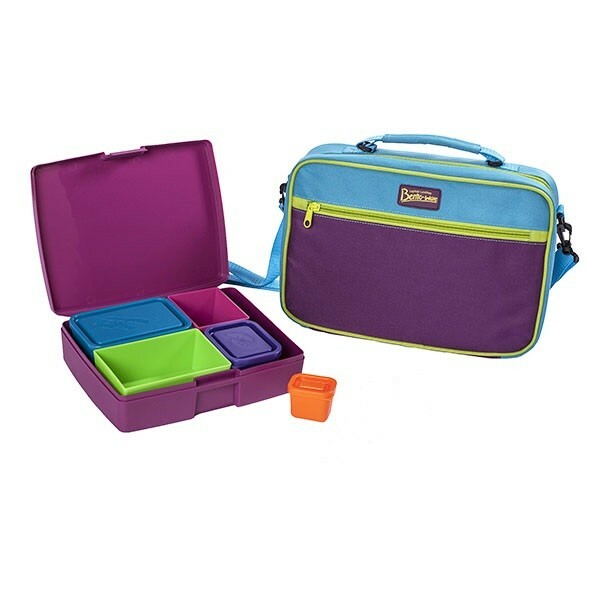 These lunchboxes are the perfect size, because they have 4 removable compartments, 2 that come with lids and are leakproof. Plus, the whole thing has one lid that is easy to open. I’m not sure if it fits in normal sized lunchboxes, but I believe it fits in bigger lunchboxes such as Lands End’s soft sided lunch bag. There are lunchbags sized for the containers that you can purchase. Though this another container I have not yet purchased, there are great reviews. 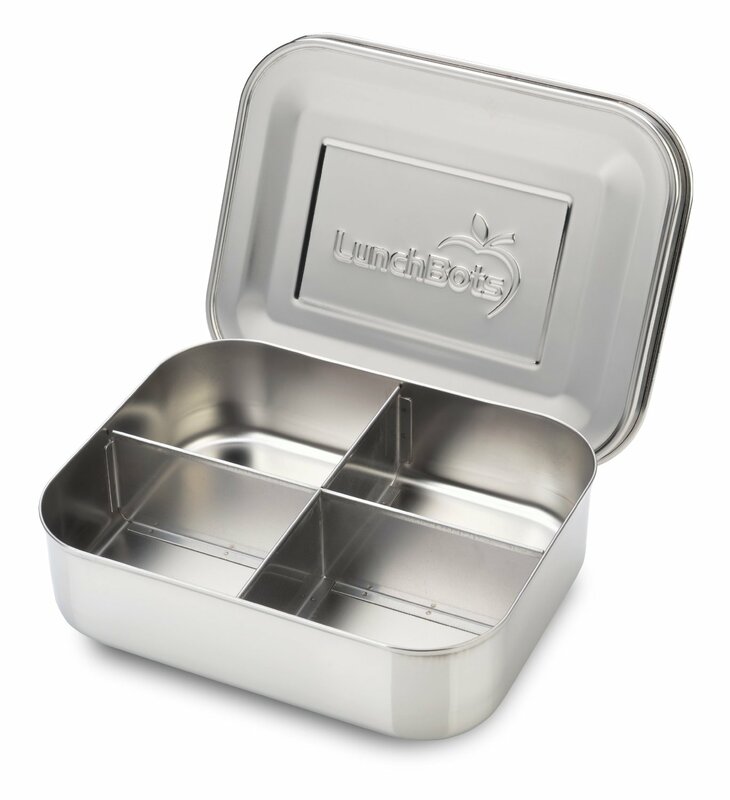 It is stainless steel, making it better for the environment, and it fits in normal-sized lunchboxes. They come in 1-5 compartment boxes, and they are also pretty inexpensive. Though it is not leakproof, I believe this is a good lunchbox.